This forecast was published 03/21/2019 at 6:55 AM. 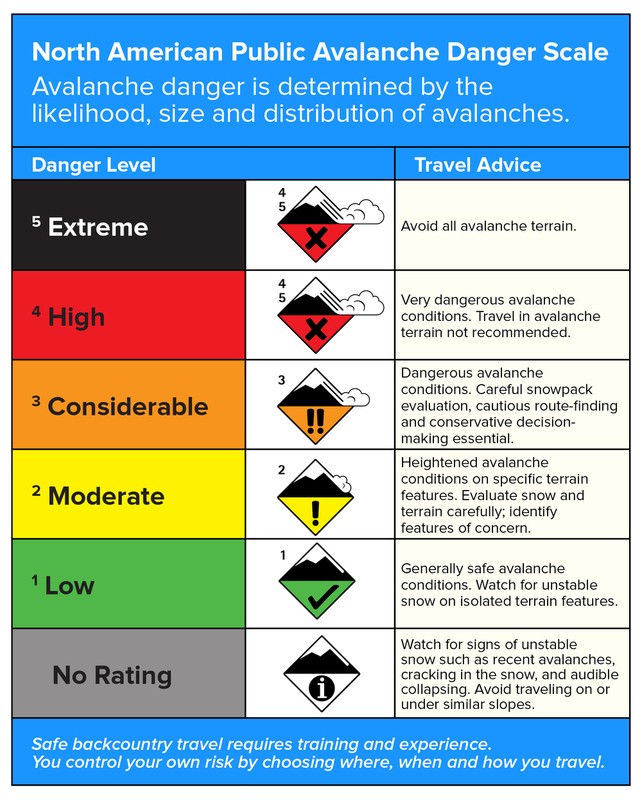 This is an archived avalanche forecast and expired on 03/21/2019 at midnight. Hard, icy, old snow makes up the majority of our surfaces with areas of softer but firm wind slab on mostly east facing slopes and behind terrain features. Light wind and summit temperatures increasing to the low 20’s F may warm these wind slabs for the first time since their formation last weekend. 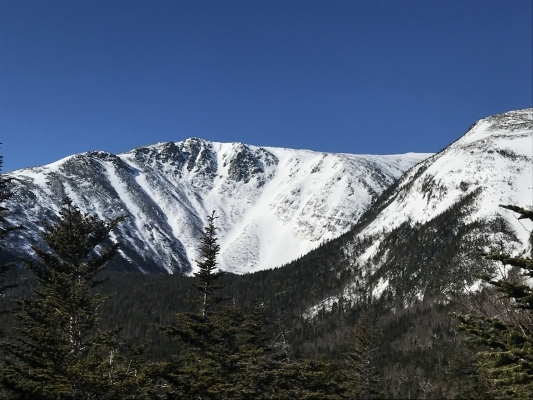 Larger east facing slopes and gullies like the Headwall in Tuckerman and the Gulf of Slides contain the largest areas of this stubborn wind slab. The hard and barely edgeable bed surface that is exposed in other areas is a very difficult, if not impossible, surface on which to arrest a fall. Consider your runouts and the consequences of a fall carefully. 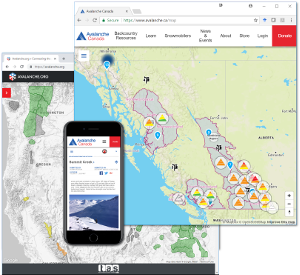 LOW avalanche danger exists today with human triggered avalanche unlikely. The likelihood may increase towards possible on sunny aspects or lower elevations where the snow warms to the point that it becomes wet. Summit temperatures have remained in the high teens F since yesterday afternoon and will rise a bit more to 21F later today. West and southwest summit wind seem on track to remain moderate through the day at around 30 mph. Clouds will begin to gather this afternoon with summit fog descending late in the day as a low pressure system makes its way up the east coast. Snowfall should begin after dark and increase in intensity through tomorrow morning. Total snowfall amounts are uncertain as the freeze line rises to somewhere near ravine and summit elevations bringing mixed sleet and rain with it. Storm snow at higher elevations followed by upslope snowfall should bring more than enough snow to result in another avalanche cycle at ravine elevations starting tomorrow and continuing into Saturday. 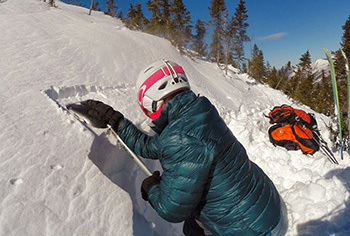 Consider the consequences of a small wind slab avalanche or sluff causing you to take sliding fall into the terrain below you. Change objectives if the snow on your intended route becomes wet. Shady aspects may remain frozen with lesser concerns about the older stubborn wind slabs but greater concerns for slide-for-life conditions. 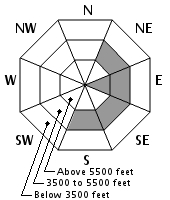 Wind slabs may weaken further if they warm in the sun today. Crampons were needed for safe travel up HIllmans yesterday. Note the well developed snowpack, read slide paths, that are primed for large and far running avalanches if the coming storm plays out as snow up high. Signs of the thaw that occurred last week remain visible in many areas despite the new snow that fell and blew in over the weekend. Glide cracks in Oakes Gulf, chunks of fallen ice beneath Odell Gully and refrozen, wet loose debris piles serve as reminders of the emergence of spring hazards. 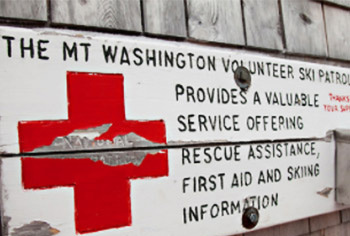 Over the weekend, we will shift gears again back to avalanches being the primary concern. The incoming storm has plenty of water associated with it and will create prime upslope snowfall potential as well. The freeze line and temperatures aloft remain a wild card making tomorrow a good day to have flexible plans. The wind shift and increase Friday night may set the stage for peak natural avalanche activity due to wind loading on Saturday morning. The spring weather and the hazards it creates will be dynamic for the next few days. 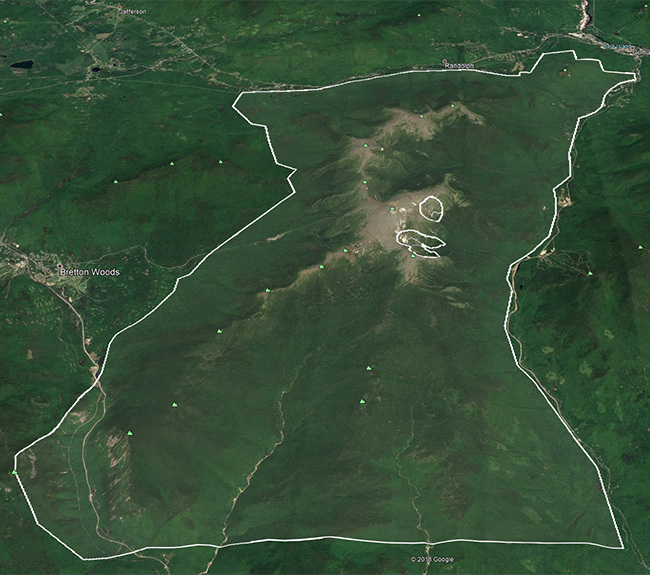 The Gulf of Slides and Sherburne Ski Trails are snow covered to Pinkham Notch. Posted 03/21/2019 at 6:55 AM.